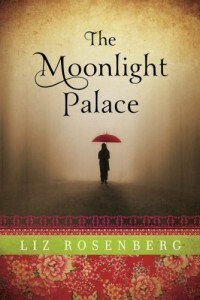 TLC Book Tours provided me with a copy of The Moonlight Palace via NetGalley, which meant the version I was reading was an uncorrected proof. Some of the punctuation and capitalization hadn’t yet been standardized in the ebook I had, but rather than finding it annoying, I actually think it lended to the otherness that pervaded the novel. Rosenberg’s writing in this novel is lyrical, as if we’re seeing Agnes, her family, and the boarders in their once-grand (and now putting the ‘shabby’ in ‘shabby chic’) home, through a gauze filter and soft pink light. 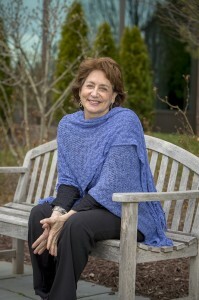 I got the sense that she was being meticulous with her word choices, because once I started reading The Moonlight Palace, I was completely absorbed. Agnes, of course, is a wonderful character, and we get to experience her coming of age in a way that makes us realize how jaded we Westerners can be, at times, while also appreciating how very lucky most of us are. I’m not certain that the author meant her book to force readers to confront their inherent privilege, or if it’s just that’s that where my own consciousness was when I was reading it. I think it’s possibly a little of both. But political and cultural awareness aside, what Rosenberg has done is give us something that could have been a Singaporean version of Tales of the City or Grey Gardens (and yes, I’m aware of how vastly different those two works are), and instead, has woven a tale that puts us in the middle of the same sights and sounds that Agnes experiences, with her perspective to aid our understanding. The Moonlight Palace is a wonderful novel, and it will draw you in, and keep you there, until it finally releases you to go hunt down a warm meal and a hot cup of tea. Goes well with Coconut curry chicken and strong black tea.